CHICAGO (WLS) -- The Shedd Aquarium's rescued sea otter, Luna, is showing off her basketball skills ahead of March Madness! 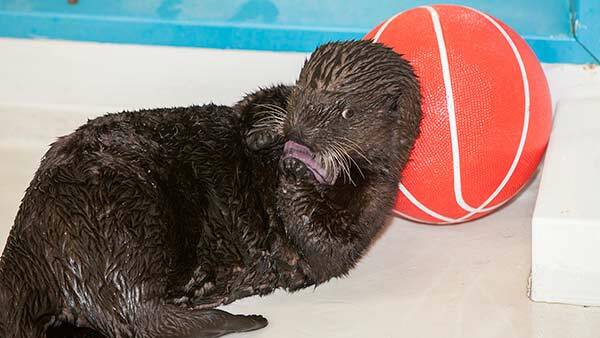 The Shedd Aquarium's rescued sea otter, Luna, is showing off her basketball skills ahead of March Madness! Shedd partnered with Good Morning America to name the female sea otter pup in December after she was abandoned in California. Voters chose to name her "Luna" because she was found near Half Moon Bay. 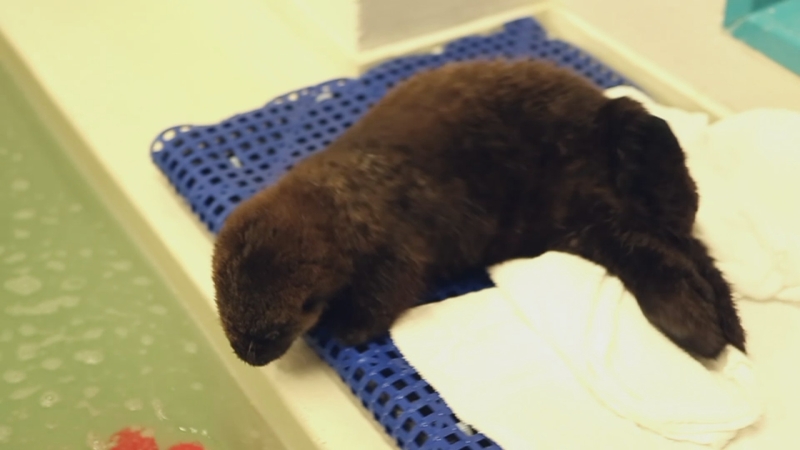 She was first known as "Sea Otter Pup 681" when she joined the Shedd in October 2014. As the smallest marine mammal, sea otters are members of the weasel or mustelid family. Adult females can weigh between 35 and 60 pounds; males reach up to 90 pounds. Instead of blubber to keep them warm, they have very thick hair that consists of two layers: an undercoat and longer guard hairs. The otter's fur is important to their survival, so they spend up to four hours a day grooming. If they do not keep their coat immaculate, they risk getting cold and dying of hypothermia. Pups stay with their mothers until they are up to eight months old. Otters do not mate for life, but form a bond that lasts for three or four days. After mating, the male leaves the female and is not involved in raising the pup. Sea otters must eat at least 25 percent of their body weight each day to maintain a high metabolic rate, which keeps their internal body temperature at 100 Farenheit. They eat bottom-dwelling nearshore animals, such as abalone, clams, sea urchins, crabs and octopus. Rescued baby sea otter Pup 681 dives and plays in her new home at the Shedd Aquarium. Sea Otter Pup 681 has a new name!